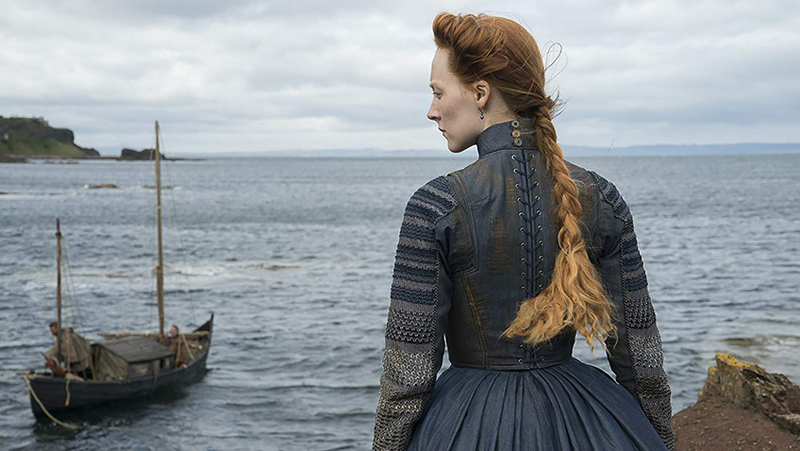 Joyce Glasser reviews Mary Queen of Scots (January 18, 2019), Cert. 15, 124 min. 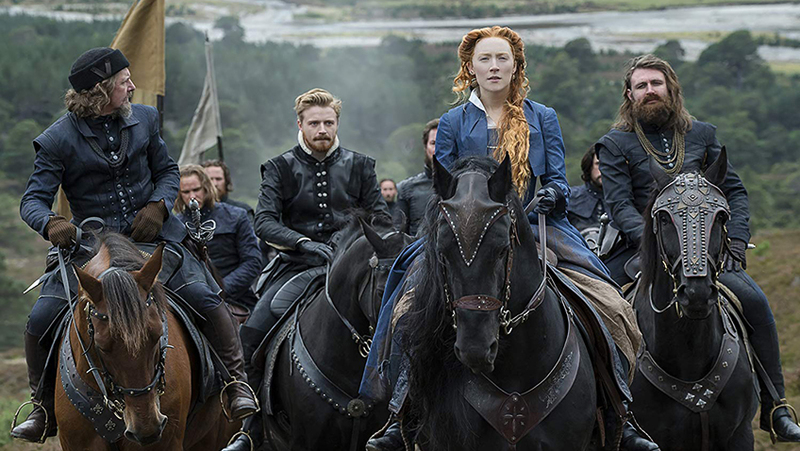 Power struggles do not come any more deadly, nor strong women more abused than those depicted in first time feature director Josie Rourke’s earthy and atmospheric, if stagey adaptation of John Guy’s revisionist biopic Queen of Scots: The True Life of Mary Stuart . Rourke, and American writer Beau Willimon (co-writer, The Ides of March, TV’s House of Cards), are not interested in Mary’s childhood in France or long imprisonment in England, but in the psychological relationship between the two, lonely queens and their respective scheming courts. In the film, if not in real life, this relationship culminates in a dramatic, fictitious secret meeting in England where the two women meet alone for the first (and perhaps the last) time. It is a theatrical scene (Rourke is an acclaimed theatre director) that we could have done without, but the content of the conversation, in which hot-tempered Mary loses some good-will, is not unimaginable. 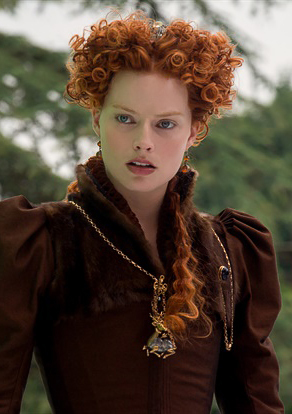 Though Mary was raised in the Catholic French court and initially insists on replacing Elizabeth I if she dies with no heir, in John Guy’s thesis, and in Rourke and Willimon’s adaptation, reconciliation and peace is more important to both women than religious wars. Mary is moreover aware of her trump card over the childless Elizabeth. She is determined to produce a son and future king to secure her line and legacy. 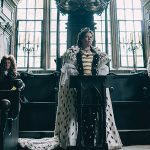 Elizabeth’s (an adequate Margot Robbie) status as a virgin with no interest in relinquishing power to a husband is making the male English court nervous. Mary Stuart’s (a feisty Saoirse Ronan) first husband, French King Francois II, has just died at the age of 16 and Mary, whose claim to the English throne is strong, returns to her birthplace, Scotland. There she is installed as the reigning queen just three years after Elizabeth’s ascension to the English throne. The exchange of doctored portraits is an important step in the relationship between royal monarchs throughout history. Here, a self-conscious Elizabeth has heard from her envoys that not only is Mary clever, strong willed and spirited, but also pretty. The portrait of Mary confirms her worst suspicions. The English have a plan. If Elizabeth can persuade Mary to marry Elizabeth’s Protestant trusted advisor, Lord Robert Dudley (Joe Alwyn, who plays Baron Masham in The Favourite), the court will be satisfied that Elizabeth can control her rival in Scotland. As Elizabeth and Dudley are also lovers, Dudley in particular is against the idea, but it is Mary who spares them the sacrifice. Mary has her own plan. After a short courtship riding horses on the spectacular coast (we see that Mary was an accomplished horse woman), with her first cousin, the dashing, Henry Stuart, better known as Lord Darnley (Jack Lowden), they wed. As an English-born Catholic from a Scottish family with claims to both thrones, Darnley has perfect credentials. Unfortunately, the courtship over, Darnley is happier sleeping with a jug of mead and Mary’s close confidant, David Rizzio (Ismael Cruz Cordova) than with his wife. Upset but determined to press on, in a remarkable scene, Mary rapes her husband to produce an heir. Mary remains close to the sympathetic, fun-loving and musically minded Rizzio and, in a later scene, conspirators persuade Darnley to have him murdered in front of the pregnant queen to show her who’s boss. But first she has to ride into battle against an English-backed rebellion led by her Protestant half-brother, the Earl of Moray, (James McArdle). Moray was the Regent of Scotland while Mary was in France and though he pretends to welcome her to the throne, he is nothing if not duplicitous. Although Mary’s army triumphs, Mary pardons Moray, who confirms that Darnley signed a bond with the rebels. Still, she refuses to give in to her advisors and divorce him. She was widowed at 18 and, bearing in mind that there is no one else with Darnley’s claim to the English throne, does not want to keep remarrying. With her court closing in on her, Mary writes to Elizabeth making her godmother of the child who turns out to be the future James I. They seem to have struck a deal. If Elizabeth has children, they will reign. If not, Mary’s child, and not Mary, will inherit the crown. But if this arrangement promises peace, the power struggles persist. Moray and others conspire to have Darnley killed and force Mary into marrying the Earl of Bothwell (Martin Compston) before separating her from her son. What the film makes clear is that history might have been very different had the two Queens not been ill advised, undermined, manipulated and betrayed at every turn by two male courts. Elizabeth’s advisor William Cecil (Guy Pearce) in England and Moray and religious zealot John Knox (David Tennant) in Scotland mastermind false news campaigns against Mary portraying her as a whore, an adulterer, a traitor and a bad ruler. John Guy’s book and this film are determined to set the record straight. But the film is, from the start, so crowded with conspiring hirsute men who are identified, if at all, too rapidly to register, that it is very confusing for anyone who hasn’t brushed up on their history to follow the intrigue. It is also difficult to figure out when (and sometimes where) a certain event is taking place, as the passage of time is not well delineated. Envoys make the long journey from London to Scotland as if they had popped out to the corner shop and no attempt is made to age Mary, even when we see her after a 20-year imprisonment approaching the executioner. While Elizabeth is portrayed as a passive, insecure and needy monarch, not so Mary. Whether Rourke realises it or not the best part of the film is Mary and Darnley’s courtship subsequent rocky relationship. A film could be made on that alone. The chemistry between Ronan and Alwyn is palpable, even when their characters grow suspicious of one another. Despite the lack of conjugal bliss, we are much more willing to believe in all that holds them together than in that which pulls them apart.